When you are really from New York, as in the born in New York City (I was born in New York Hospital), some people call you a unicorn because it’s rare to find New Yorkers living in New York City. I may be a double unicorn because I have a garden in New York City. I have LAND!!! This makes me ecstatic because it’s a rarity in our humble little town. I get to be creative and make all kinds of chutneys, relishes, savory condiments and pickles that have never been made before. I love how canning connects us with old food ways and our ancestors. I love that I can eat things from my garden in the dead of winter. I know exactly where my food comes from and how it was preserved. I love to give gifts of homemade canned goods. I’ve made this recipe for years inspired by the first time I got 4G coverage on my cell phone. 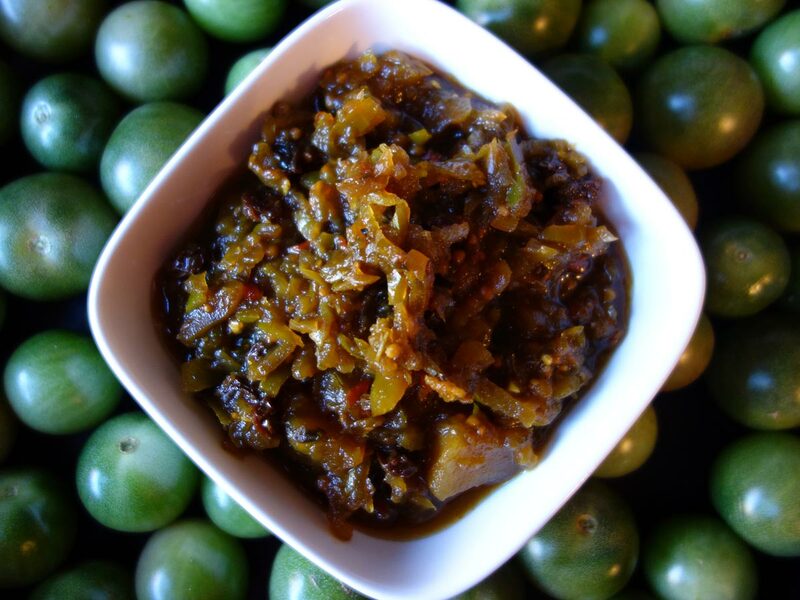 This chutney goes beautifully with cheese, charcuterie and pork!